Lumos Wine Dinner Was Awesome! Saturday night we had our joint wine dinner with the ace winemakers from Lumos Wine Company. Everything was great from weather to ambiance, wine, guests, and food. I think strange but lovable describes our kitchen well. The second standout was the grilled elk flank steak over red wine risotto, with chard and a chicken liver croquetta. The best comment for this course was a fist pump and a “yes!” This was the best wine and food match of the night…big flavors, textures, big wine. A warm thank you to our guests and to Lumos for their gracious smiles and great wine. Angela in the office revamped the website to work on a larger variety of devices. On another topic…we take reservations for six of our seven weekly services. If you have a frustrated time getting a table for the Saturday brunch, try one of our services that do take reservations. To those who have had trouble landing a table, please accept my apologies, and do try at a different time or day, and I will so gladly make you some delicious grub. 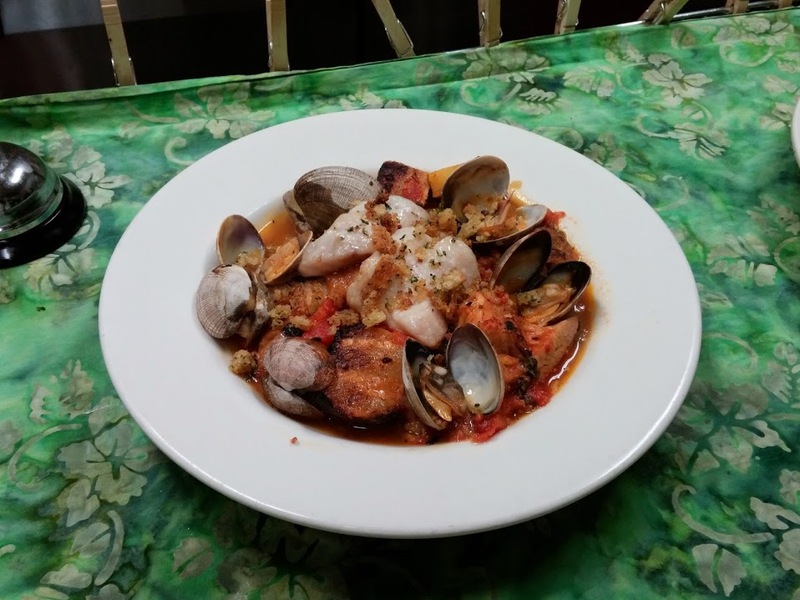 For no reason at all, a picture of our seafood cacciuocco. 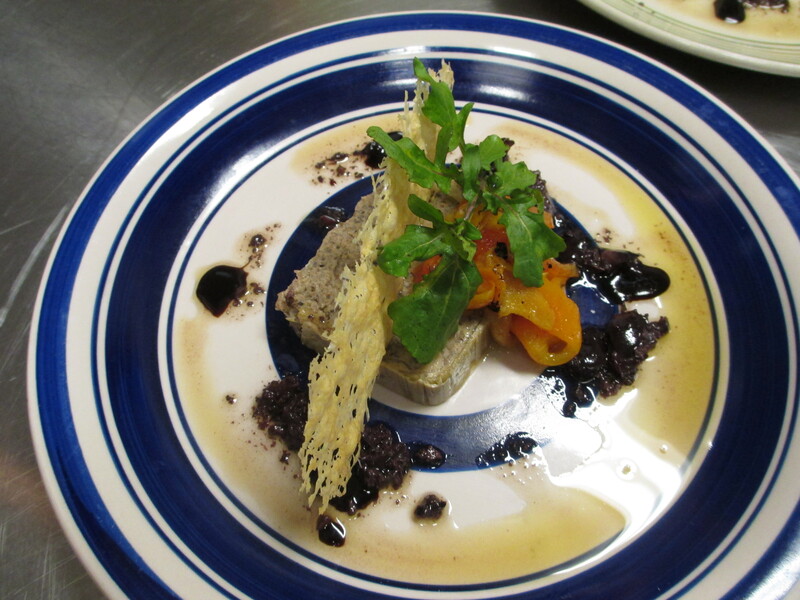 A mushroom terrine like the one we served at the wine dinner! 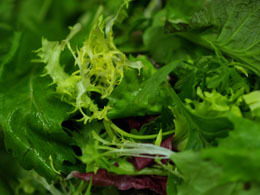 One of the ways we feel the seasons changing in the GTF kitchen is the morphing of the salad mix. At the start of the year, we all come out of our hibernation in time to clean and plan for Valentine’s dinners, and the salad mix is about as hearty as salad mix can get – baby kale, mustards, arugula, escaroles and radicchio. It is a complete meal, full of big flavors and a lot of chew – one of my favorite times for salad mix. But as the days get longer and warmer, the salad mix gentles up, and we get the baby lettuce coming in and changing the way salads eat. It’s also very nice. On our menu last week we had a scrumptious salad of green and red mustards and watercress with a roasted garlic herb dressing tossed with altamura toasted bread crumbs. Real good combination inspired by a salad Farmer John had up in Portland. Stay tuned for next weeks menu! No promises – we have to see how it all shakes down – but there are going to be some sweet dishes on this menu!